There now several wearable cameras on the market for lifelogging and below I’ve provided some basic details for four of them. The basic criteria used for a lifelogging camera to be listed is one that is worn on the body and provides the ability to passively take photos based on factors defined by internal sensors or at scheduled intervals as you go about your day. Description: This is the camera that started it all as it was created based on the original SenseCam used by Lifelogging pioneer Gordon Bell. Based on the website it appears they’ve discontinued production of the unit but they provide many details and continue support. The camera is worn around the neck and passively takes photos as you go about your day either based on triggers from the internal sensors or based on a timed interval. It uses a 3 megapixel sensor and a 130 degree field of view. 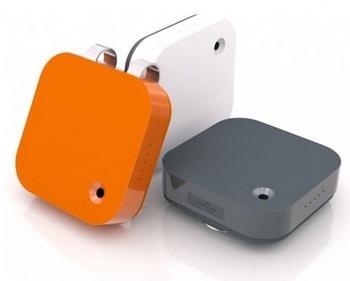 It also has temperature, color intensity, accelerometer, and magnetometer sensors as well as a motion detector. In addition to Lifelogging another use for the camera based on the product page is to help people who have severe memory loss or Alzheimer’s. You can watch several videos created using captures from the camera here. Description: This is the most expensive camera of the group but it does also have 5 built-in sensors which include accelerometer, magnetometer, temperature, color, PIR (infrared motion detector), and GPS. 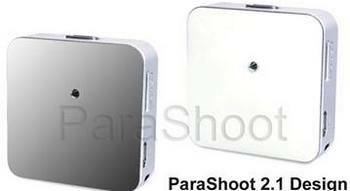 It has a 5 megapixel low light image sensor and offers a 136 degree wide angle lens. The camera is manufactured by Oxford Metrics Group which is a company based on Oxford in the UK and has been in business for over 28 years and builds cameras and is the world’s largest supplier of motion-tracking systems for films, computer games and broadcast tv as well as science industries. The quality of the lens and sensor appear to be very nice based on the images shown on the website. It is also worn around the neck and has and has bluethooth connectivity. The available app and software tags each image with data from the sensors including temperature and GPS data. You can supplement this with your own tags and use the software to search on this data. You can watch the product video here. Description: This camera provides a very clean and simple design and is worn using a clip which aids in the ability for it to blend in and disappear for the wearer. It is the smallest camera in the group and has a 5 megapixel sensor and offers a 70 degree viewing angle with an optional snap on lens providing a 135 degree angle. It has an accelerometer to insure photos are correctly oriented regardless of how the camera is being worn and also has a GPS. The Narrative software provides cloud backup for $9 per month and based on the 2 photos per minute shooting schedule amounts to 1.5 Terabytes per year. There is an app for iOS and Android to review the photos as well as the desktop software. The folks at Narrative originally launched their camera on Kickstarter and are very passionate about the company’s mission and it shows. 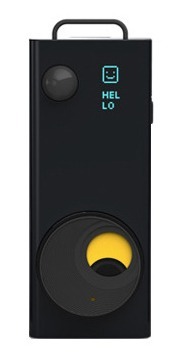 The camera is currently available for pre-order with a planned release date of November 2013. You can view the product video here and the vision behind the camera here. Description: This camera was recently announced in an Indiegogo campaign. It looks somewhat similar to the Narrative but in addition to shooting photos also has the ability to shoot audio and video. It’s not clear as to whether this device allows the ability to shoot photos passively in the background at timed intervals but it does have a motion detection recording capability and also has a time-lapse feature. They offer a clip mount as well as a car mount, magnet mount, universal stand and a necklace strap mount. The necklace mount can also be complimented by various stylistic designs that are available for the camera in the way of skins. They discuss an iOS app on the product page only. Camera is scheduled to ship in December 2013. You can watch a product video here. Good information, Thanks for your review.